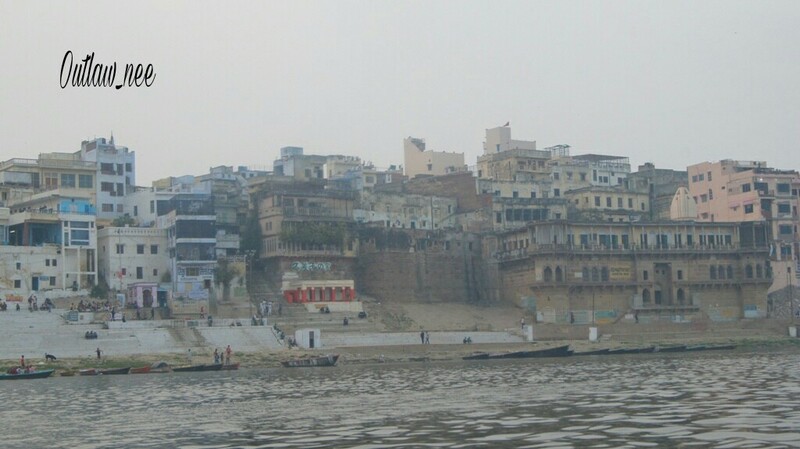 ​Exploring the Ghats via boat ride.. 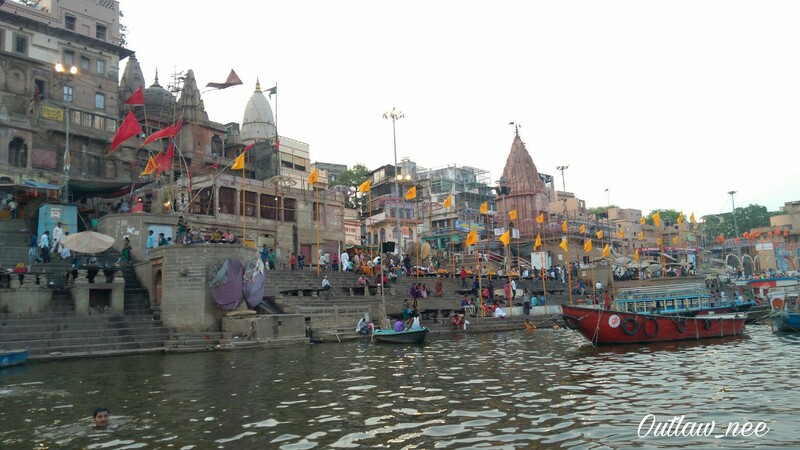 So after visiting the famous Kashi Vishwanath temple we set off to the river Ganges, for a boat ride and the famous Ganga arti.. So off we went, with me clicking away pictures as I did not want to miss out on any memories.. 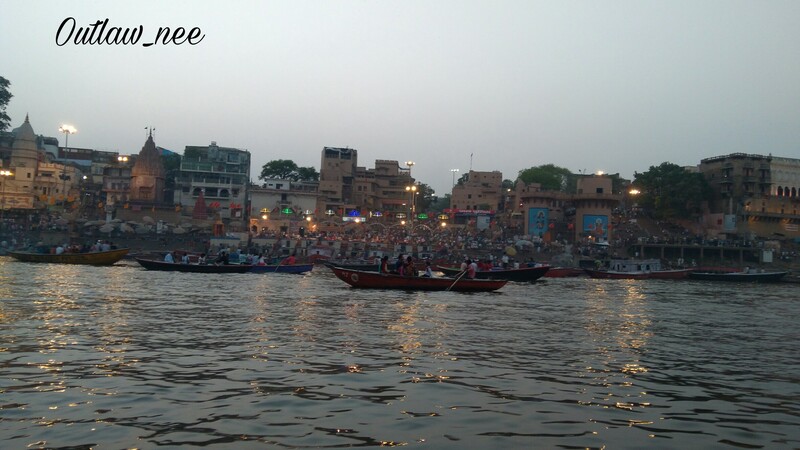 So I saw the place decked up for the Ganga Arti..which is normally held at 7 .p.m everyday..
We hired a boat, This was my second boat ride on the Ganges..Had a similar routine when I had visited this place 3 years back..
We payed to have the entire boat to ourselves and off we went about boating and exploring the Ghats.. 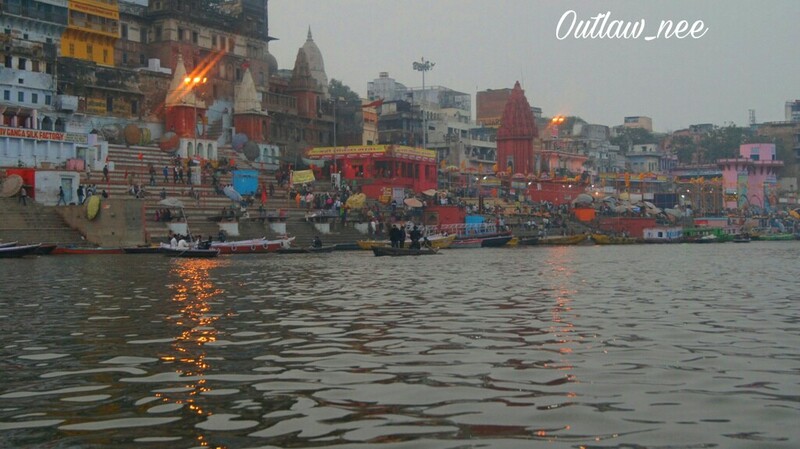 I put my hand into the water to feel the Ganga..The most famous of all rivers in India! !You can say the mother river!! The most sacred one..!!! So it’s like you go towards one side of the river along the Ghats and turn around and come in a ‘U’ turn fashion facing the Ghats..
An Aghori Baba or a sanyasi bathed in Ash??? Sadly, I heard the Ganges is receding..Once upon a time apparently it was over flowing and was sparkling and clean, now with pollution and waste being dumped, it is sad to see such a mighty river running dry and dirty.. 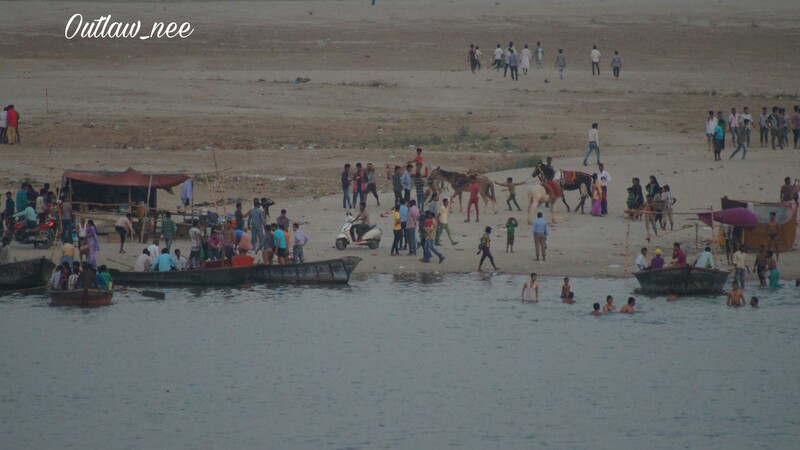 Measures are on by the government to clean the Ganges..
Until about a few years ago,as told by my husband who is a native of Benares, that as a child, they used to see river dolphins in the Ganges..now that’s new to me!!! I feel bad about the state of this mighty river..What can be done about it..?? 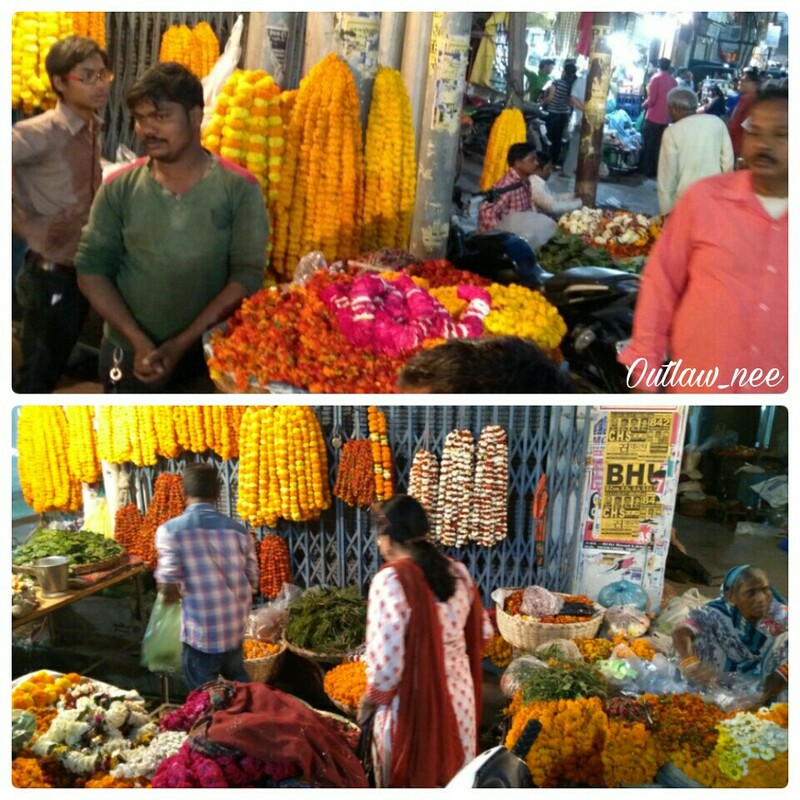 I did my part by not dumping any flowers or candles that were being sold..
On a fine Sunny day (Summer was just starting at the time I visited benares) about 3 o clock in the noon we set out to the market area again, To visit the famous Kashi Vishwanath temple.. I will share a few as told to me and what I have read.. 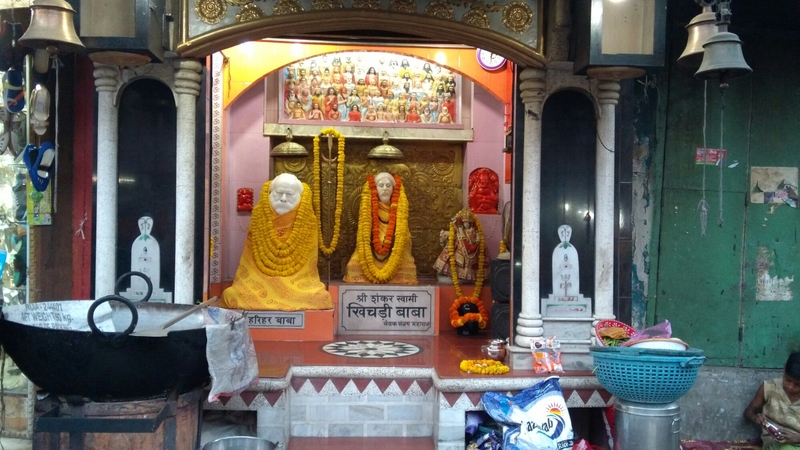 This famous Vishwanath Temple has been destroyed and re-constructed a number of times in history. 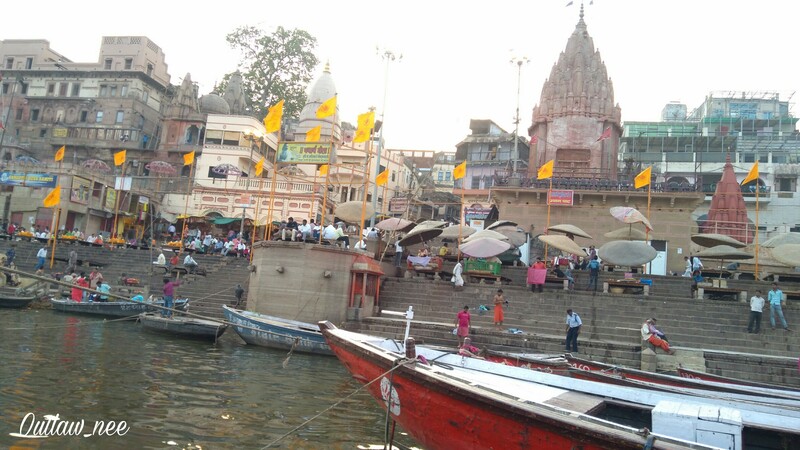 The famous Kashi Vishwanath temple.. 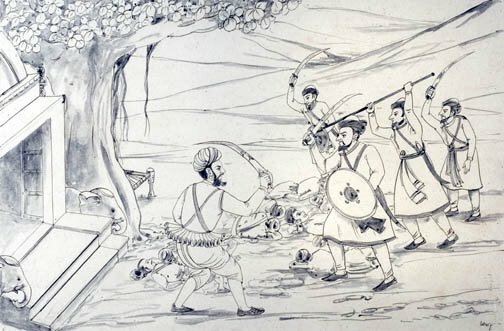 The old temple was demolished during the Mughal invasion by Aurangzeb, the sixth Mughal emperor, who constructed the Gyanvapi Mosque on its site.. 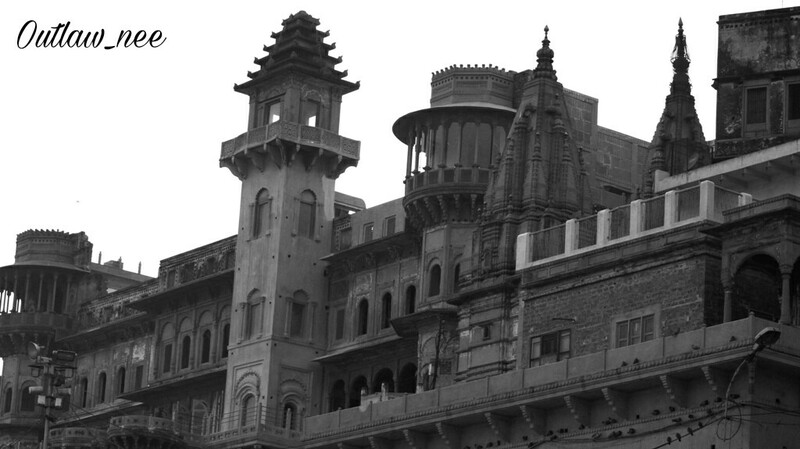 The present structure was built on an adjacent site by the Maratha ruler, Ahilya Bai Holkar of Indore in 1780. 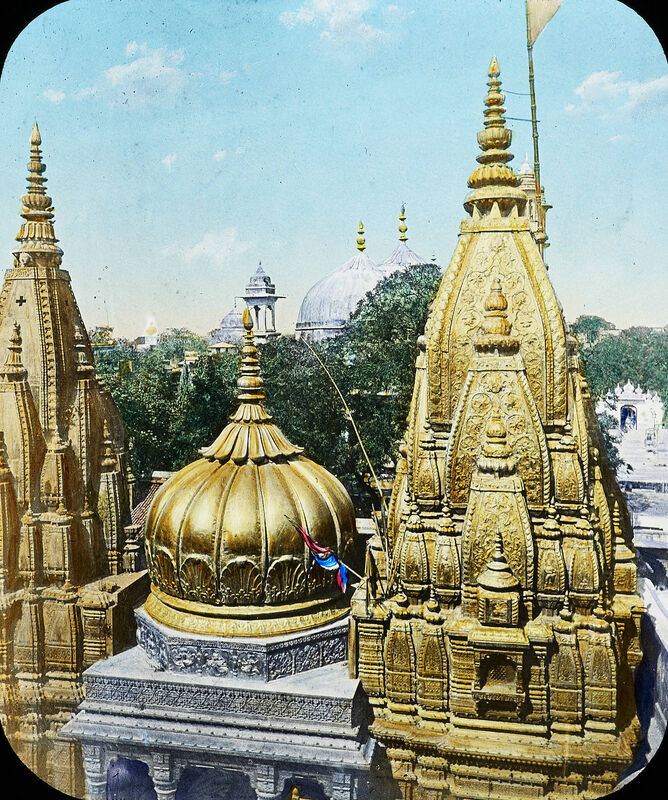 The Kashi Vishwanath Temple is also popularly known as the ′Golden Temple′ due the gold plating done on its 15.5-meter high domes apparently donated by Maharaja Ranjit Singh.. The gold plated domes of the temple.. 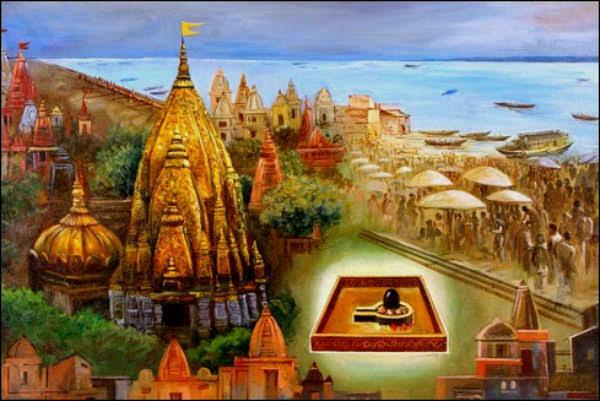 The Jyotirlinga present in the Kashi Vishwanath Temple is one of the 12 Jyotirlingas in India.. 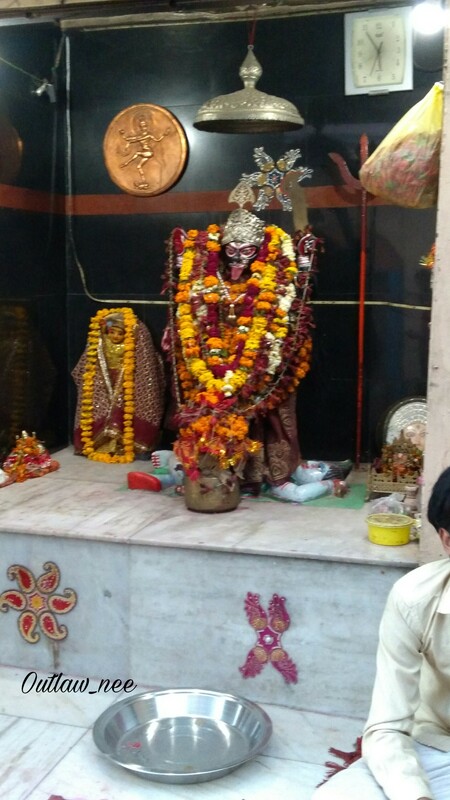 However, the original Jyotirlinga of Kashi Vishwanath, as was told to me, lies buried in a well situated inside the campus of the temple called Jnana Vapi or Wisdom well.. The story is that during the Mughal invasion the main priest of the temple jumped into the well along with the original jyotirlinga to protect it from the invaders..so I guess it lies there buried inside the well even today.. 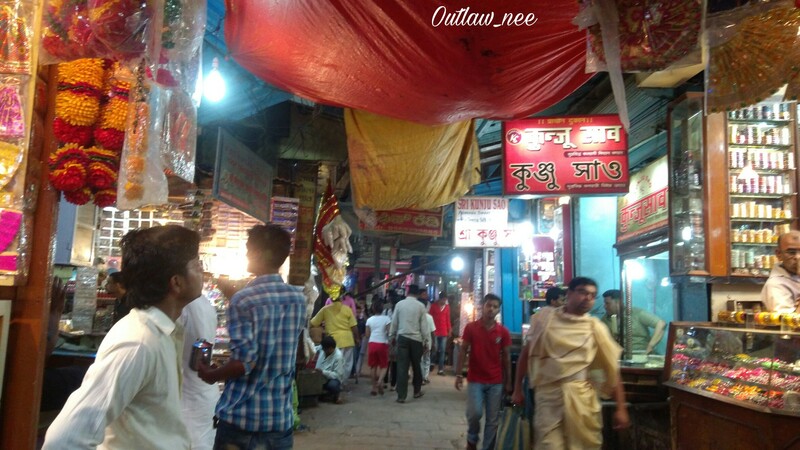 The temple is situated in the market area where in from the main market you enter a lane called Vishwanath galli and keep walking and walking..
You have shops on either side selling stuff ranging from puja articles , curios to bangles article sarees.. 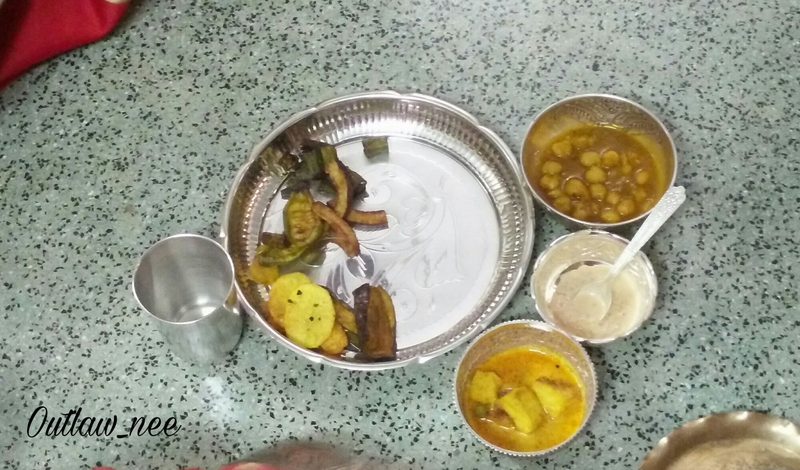 Photography is strictly prohibited inside the temple..So we had to leave our cellphones, cameras and footwear at shops which have lockers..
After collecting our Puja thali..( Plate with puja items like flowers, sweetmeats, a glass of milk) we set out for our darshan..
We waded through to have a darshan of the Annapurna devi (Goddess of food), the original statue made of gold ( or so i was told) is actually not on display and taken out only on a festive day when they feed 100s of people.. 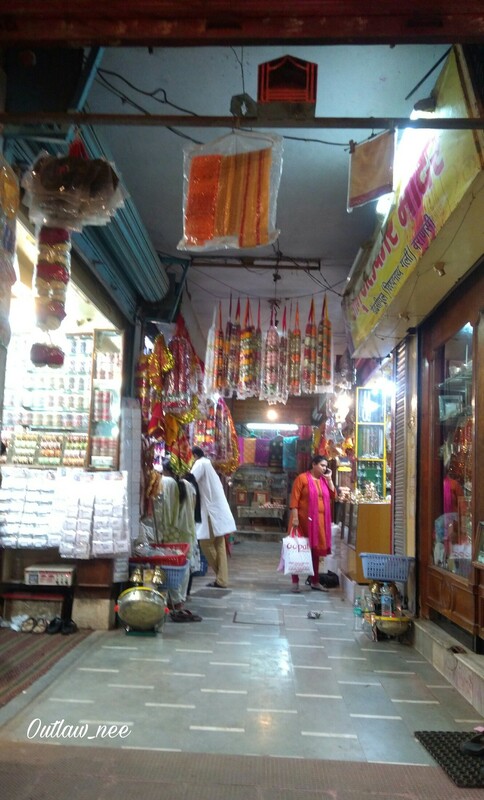 Inside the courtyard is the temple of Vishwanatha( Lord Shiva) surrounded by many subsidiary shrines. 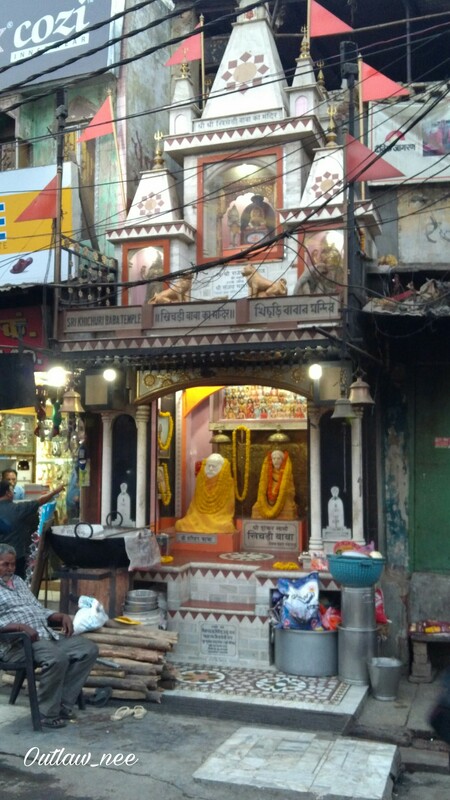 With a quick darshan of all the other gods we made our way to the main temple.. 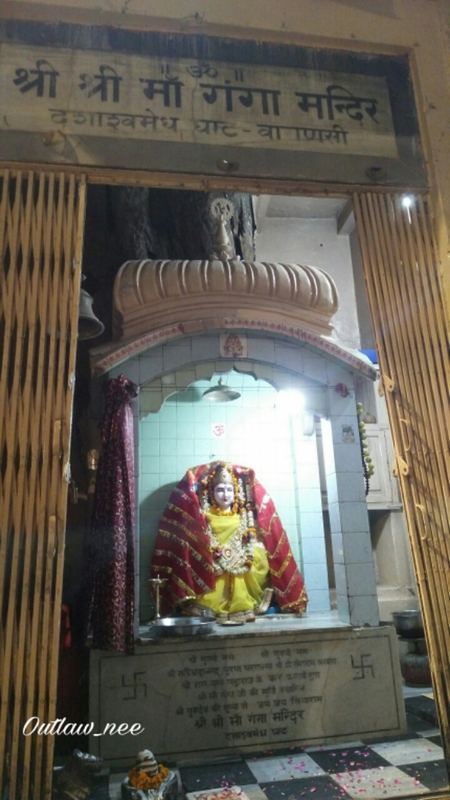 The Vishwanatha temple consists of a mandapa and a sanctum. 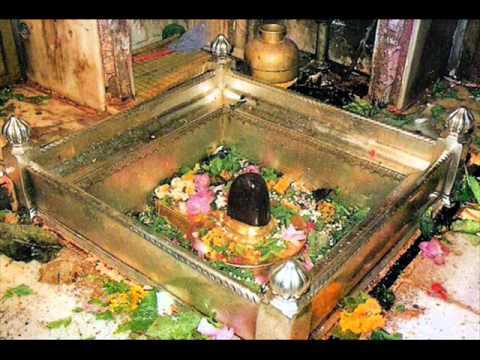 Inside the sanctum a Lingam is set into the center of the floor in a square silver altar..The Lingam is of black stone..
Pic from google images as photography inside the temple is prohibited.. It being a Thursday and an off season we were lucky as it wasn’t much crowded..
Oh this was my second visit to this shrine and yet I was feeling nostalgic..A feeling which can’t be explained..
We had to form a queue and wait for our turn.. When my turn came, I poured the glass of milk on the Shiv ling and offered flowers, the garland went right around the idol, I was all ecstatic..
We had to keep moving a tad bit too soon.. I again joined the queue and this time I got a huge garland taken from around the idol and some flowers in return.. I just could not have enough of gazing at the Shiv ling, So I again went around and got my chance to pray.. 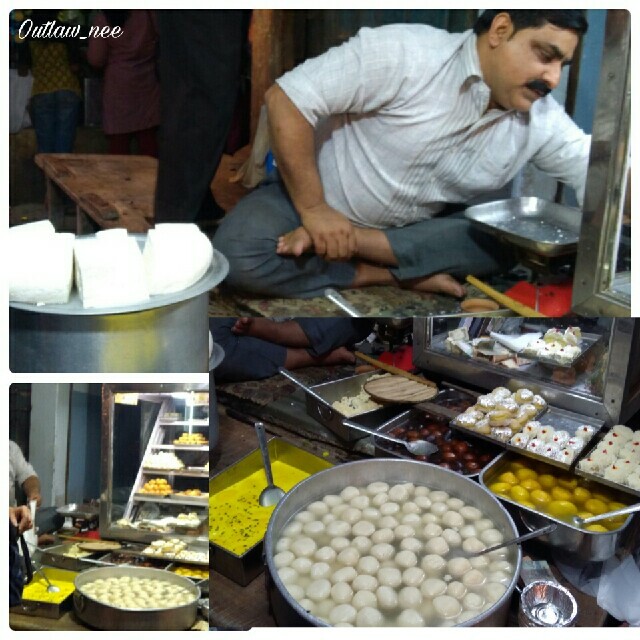 So after having an heartfull and eyefull darshan , I walked away happy and satisfied with the holy Prasadam in my hand..ahhh happy happy as can be..
Soo many stories and mythology surrounding this place..
People especially from South India do make it a point to travel so far just to have a darshan of Lord Shiva and m here today at the same place..Really the feeling was great..
Hindus consider that they attain Moksha( Liberation) by visiting this holy place followed by a bath in the river Ganges.. 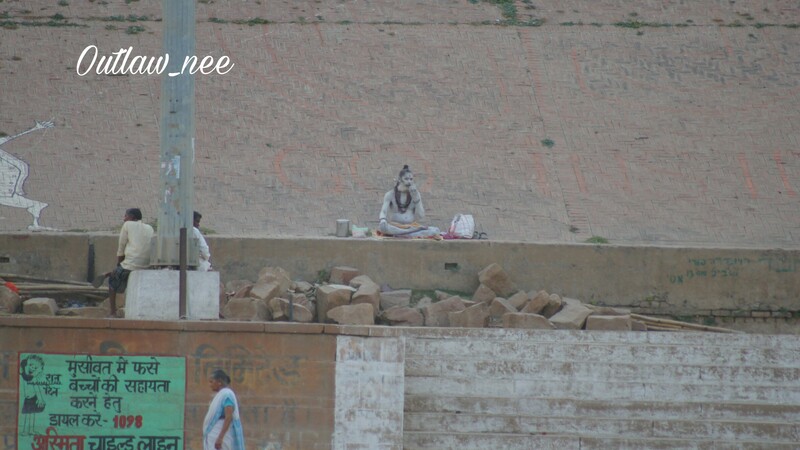 Many legends also state that a true devotee achieves freedom from death and worldly ties by the worship of Lord Shiva.. 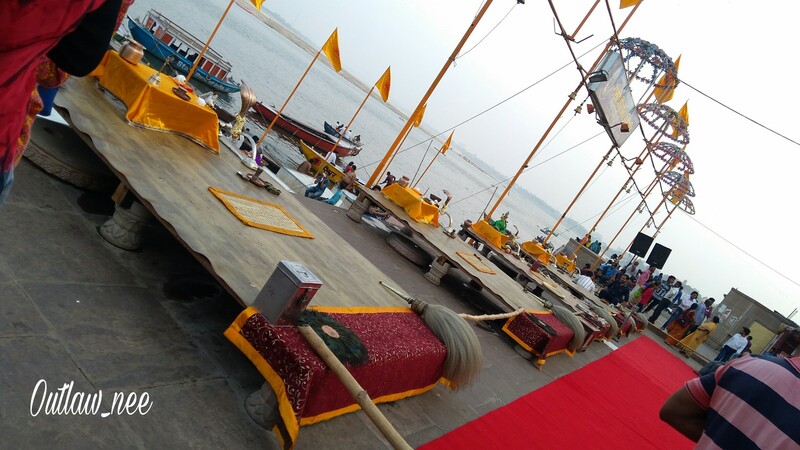 It is also said that Lord Shiva himself blows the mantra of salvation into the ears of people who die naturally at benares, hence you find many people in their last days wanting to come to Kashi and attain Moksha here.. 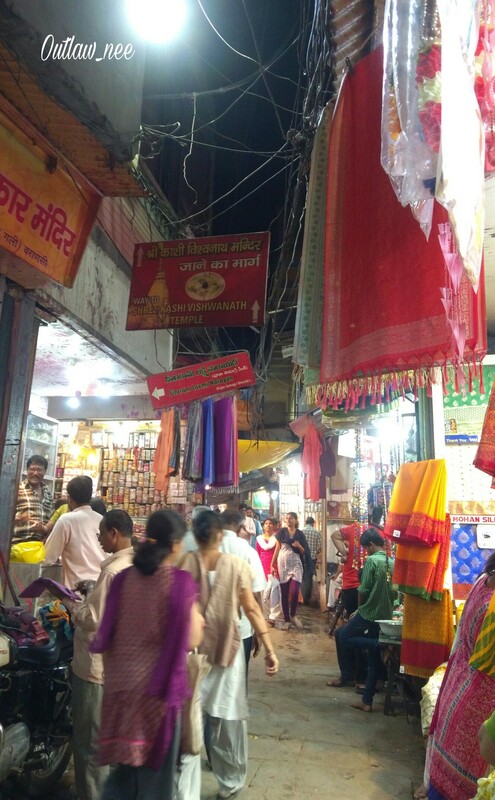 So much for the legends and stories of Kashi..giving me goose flesh even as I type away..
Shopping and me are never apart so I enjoyed shopping for some authentic benarasi brocades,Sarees..
Benares is famous for its pure silk sarees.. 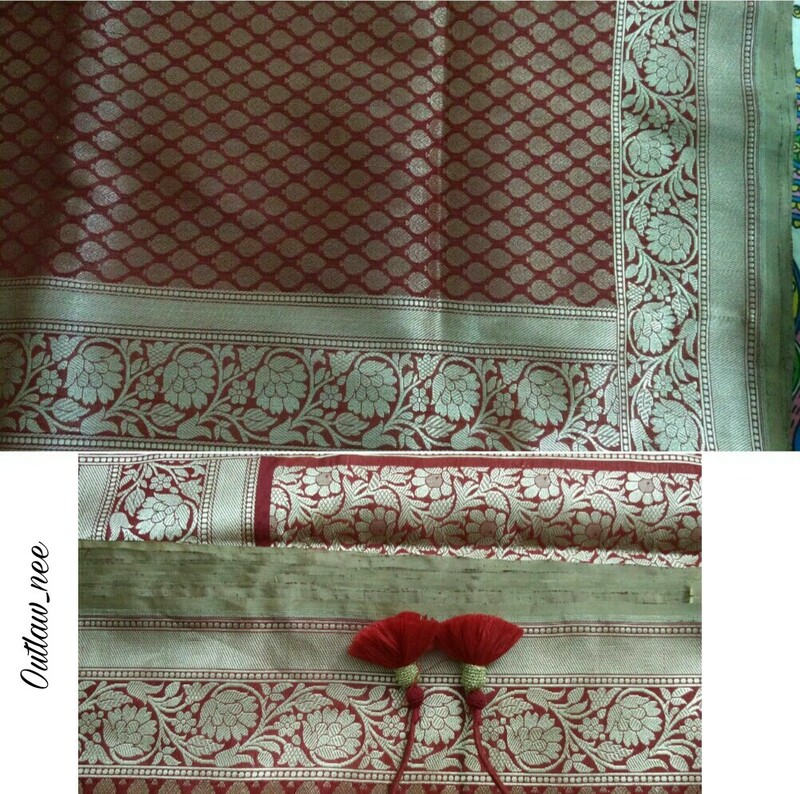 The sarees are among the finest sarees in India and are known for their gold and silver brocade or zari, finely woven silk and magnificent embroidery with intricate designs, because of these engravings, these sarees are relatively heavy.. 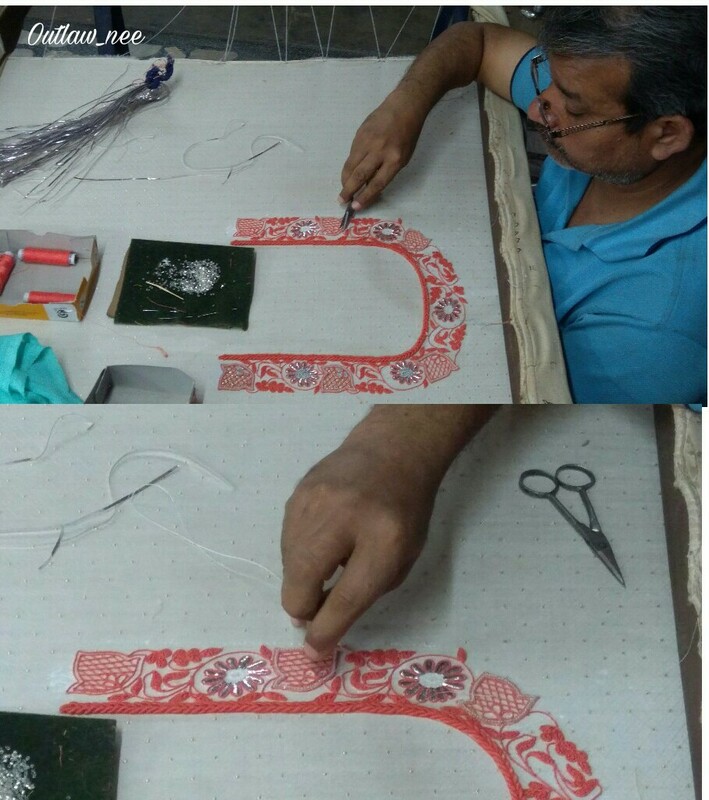 Depending on the intricacy of the designs and patterns, a saree can take anywhere from 15 days to a month and sometimes up to six months to be completed.. 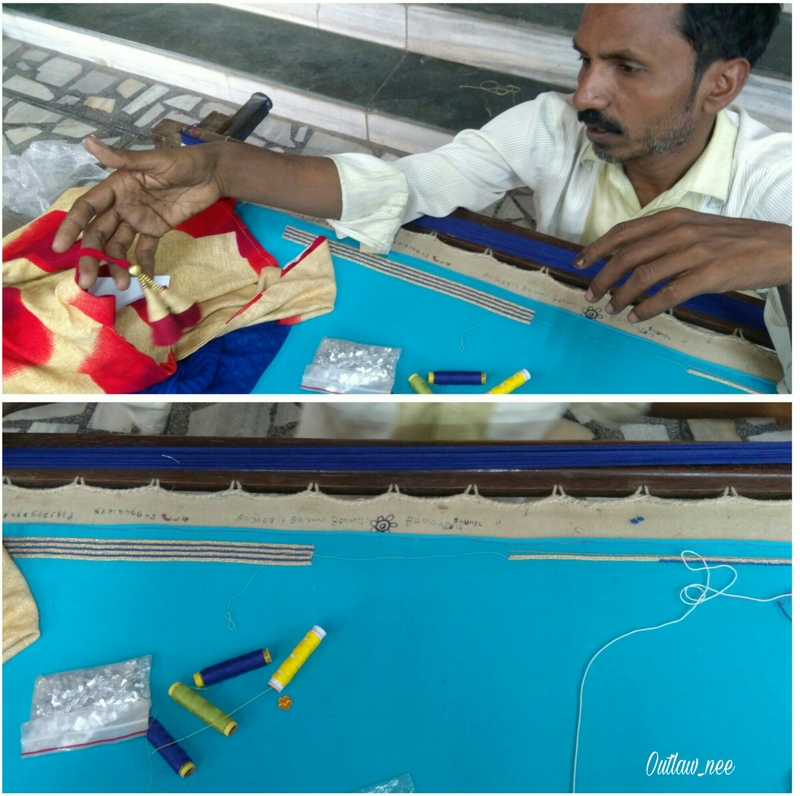 Check out the delicate outline..as he goes around the design with a blue thread to highlight it..
Banarasi sarees are mostly worn by Indian women on important occasions such as their own wedding or while attending a wedding. 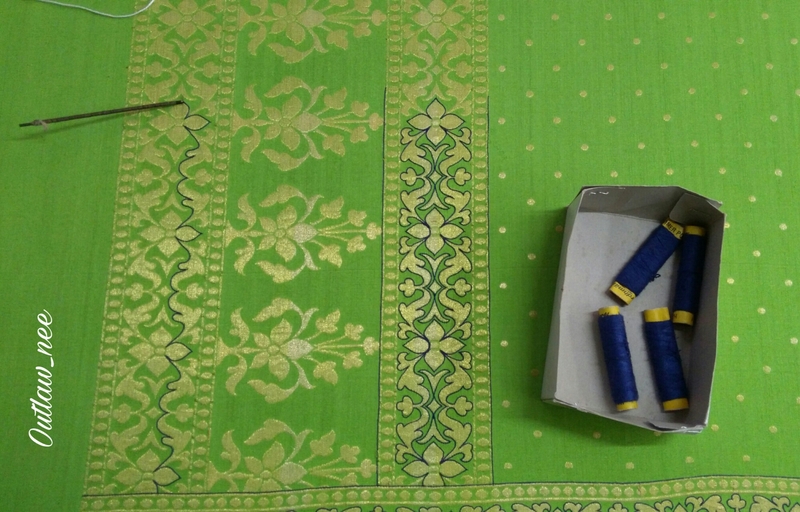 You will find lanes filled with weavers, where you get to see pure banarasi sarees been made..Though I did not go inside..I was happy checking out the names of the shops as I passed by on a cycle rickshaw..some are really really old ..
As powerlooms are taking over the textile industry, handlooms are getting affected..The powerlooms sarees are easier to manufacture,it’s easy to produce them in bulk and hence the cost is also very less compared to handloom sarees which most of the time are hand made, as I said some of them take months to be made, hence are priced very high but are of the purest form.. 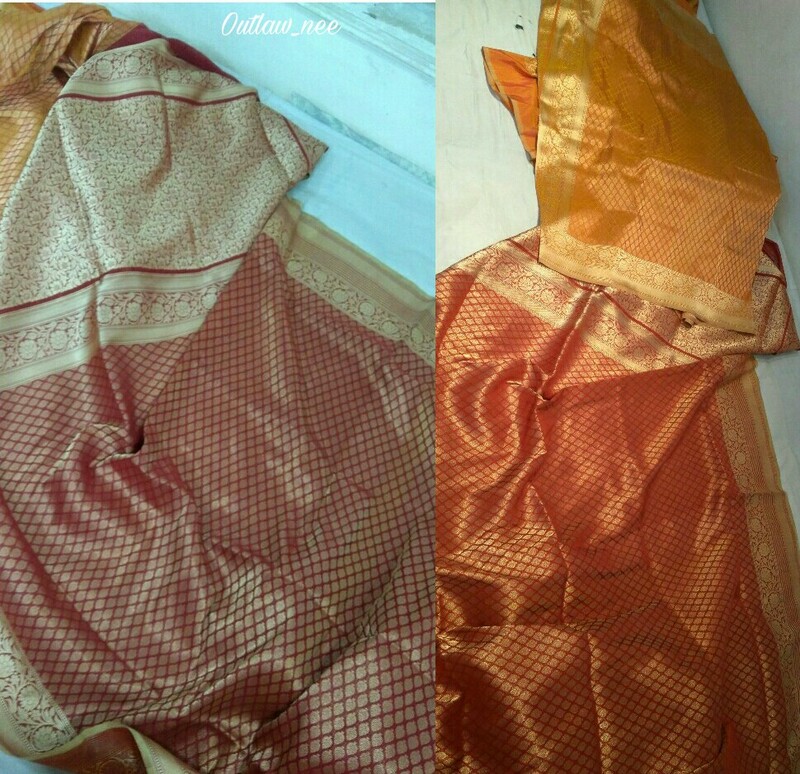 I was lucky enough to get my hands onto one such saree..
Me confused between the three!!! Yes..same design with colour variants.. 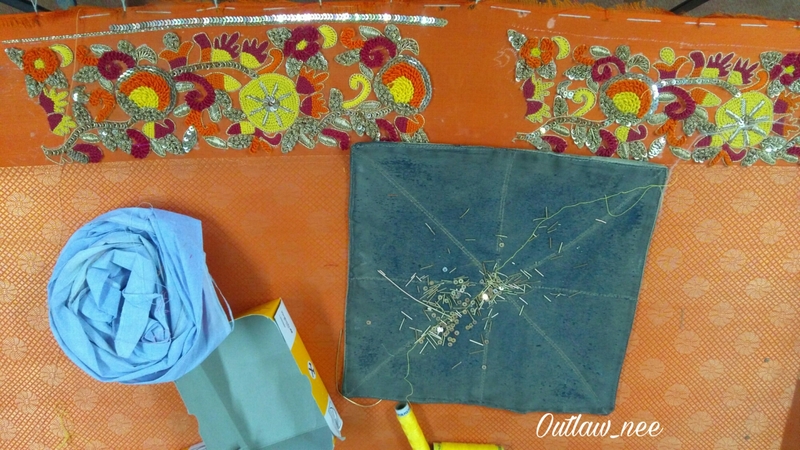 So much for my saree tales.. 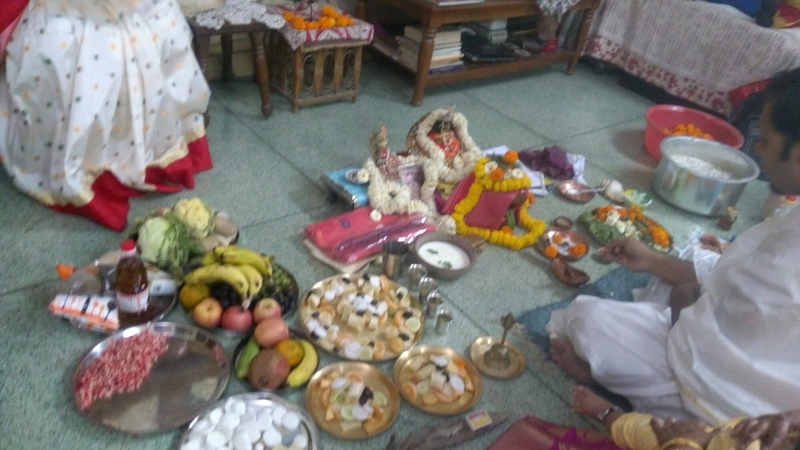 So Annaprashana is a ritual in hindus, where the child on completing 6 months is initiated to food..
With a puja done to appease Annapurna Devi ( the goddess of food) the child is blessed by the elders present.. 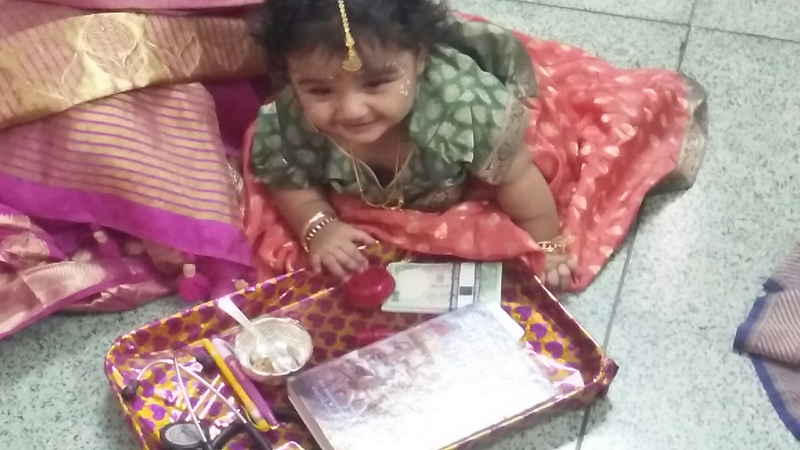 There is ritual where in they keep a plate in front of the baby with articles ranging from the holy book of Hindus…(The Bhagwad Gita) Vermillion..(Indicating beauty) Money..(wealth ) Stethoscope (as we are doctors) Books and pen (Indicating education, Gold ( prosperity) and many such things..
She must have found the red box of vermillion quiet appealing or so it seems..
Khichdi Baba Temple Is Located In Dashashwamedh Road near Kashi Viswanath Temple..
My Mil told me that people who wish to feed the underprivileged come here and make donations and that money is used in making Khichdi and feeding them..
It’s a small temple right in the market with a huge vessel in front of the idol, indicating the cooking of khichdi..Interesting indeed I thought.. 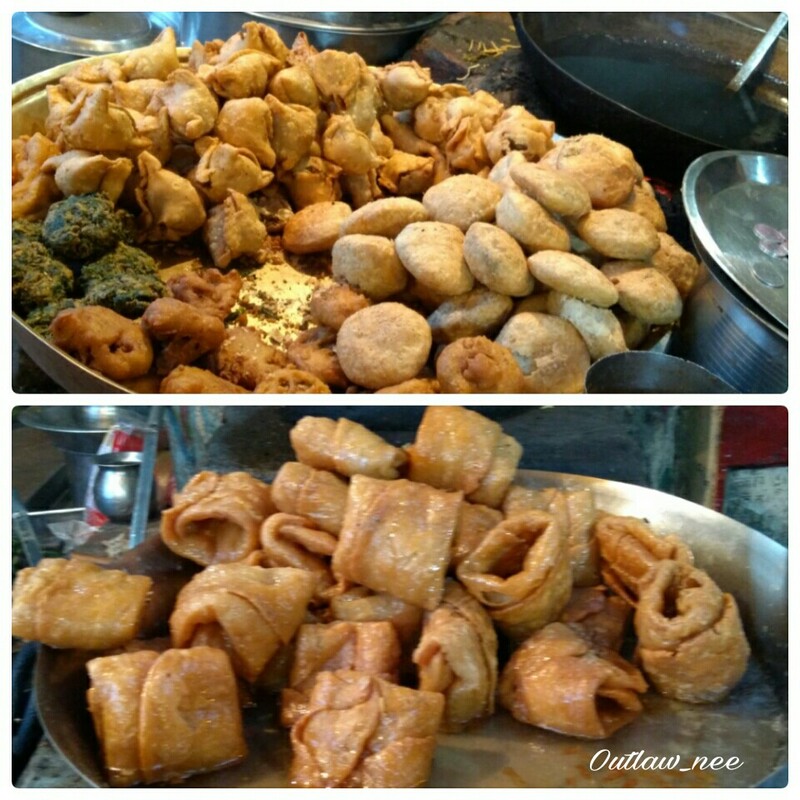 The legend has it that Lord Shiva once claimed to Goddess Parvathi that everything material that exists in this universe is ‘Maya’ (Illusion), including food. Goddess Parvathi, the manifestation of all material things, enraged with Lord Shiva, disappears. Everything comes to a standstill, and people are left with no food to feed themselves. The whole Earth becomes barren. 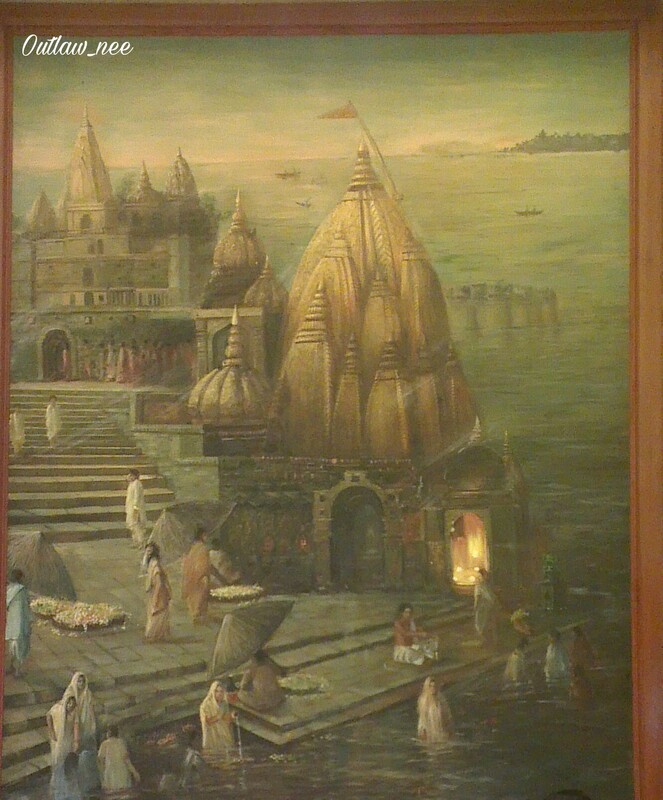 Unable to watch everyone suffering, Goddess Parvathi comes to Varanasi (Kashi) as Goddess Annapurna and sets up a kitchen to provide food for everyone. 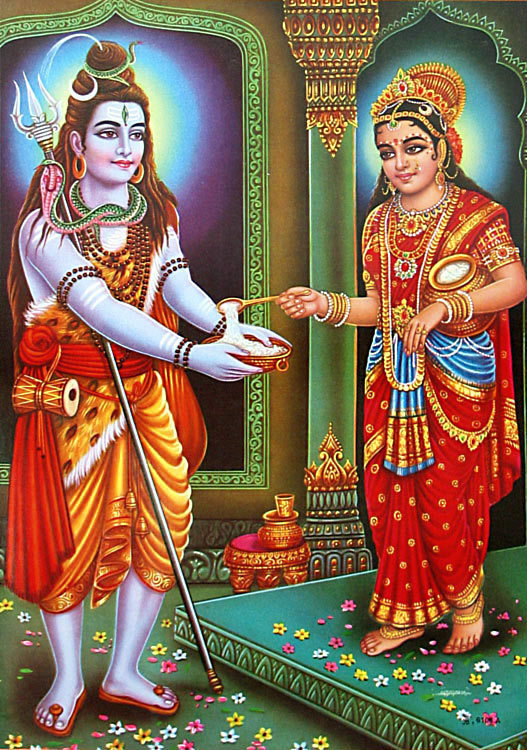 Hearing this, Lord Shiva goes to her with an alm bowl and requests her to provide him ‘biksha’ (alms), and tells her he now realizes that the material world can never be dismissed as an illusion. 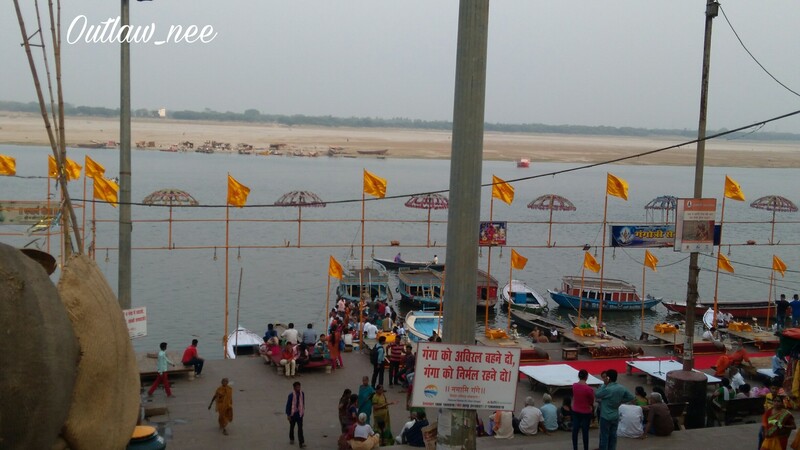 So, Goddess Parvathi provides ‘biksha’ for Lord Shiva..
Goddess Annapurna giving alms to Lord Shiva..
Hence,in Varanasi, annadhanam ( an offering of food) is widely carried out by trusts as well as individuals..
You will find many such temples near the Ghats.. 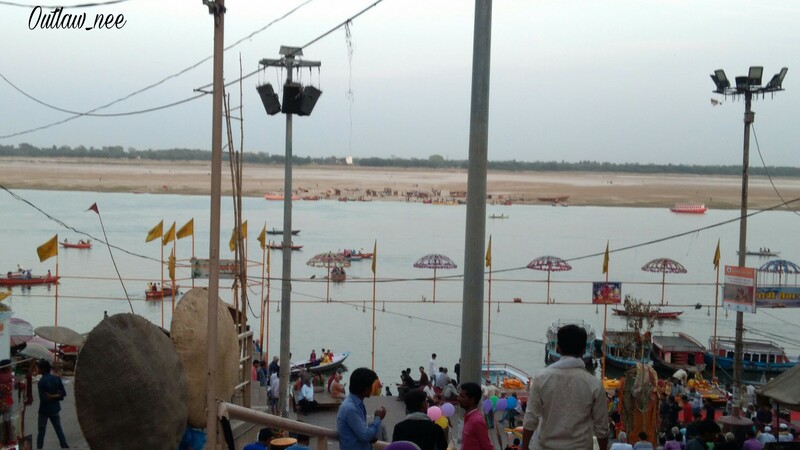 The ones I saw was the Kali temple and one dedicated to the river Ganga.. I am anyways on a break but this was like a another break from the monotonous routine, post childbirth.. 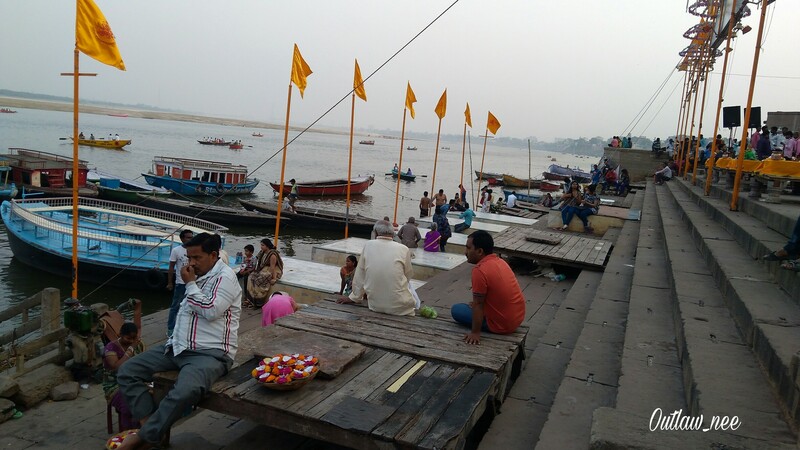 So, Benares, Varanasi or Kashi call it whatever you like is really an amazing city and my visit was fun filled.. 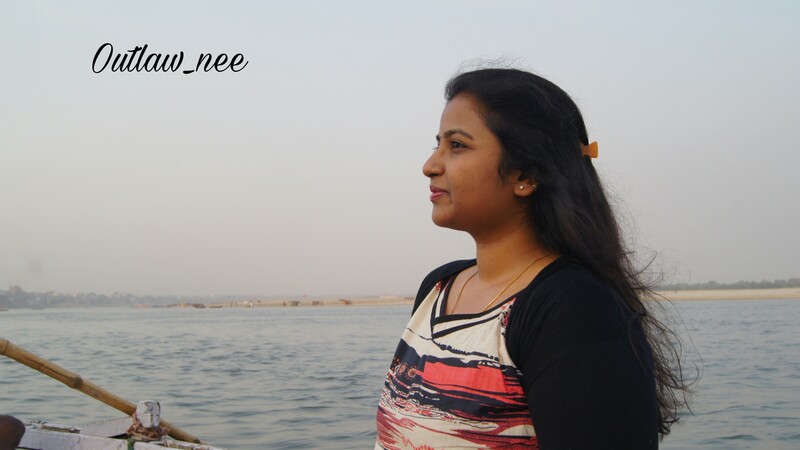 I enjoyed exploring the city on my own,shopped around, spent time gazing at the Ganges, visualising the age old place with its enormous history and ancient stories.. 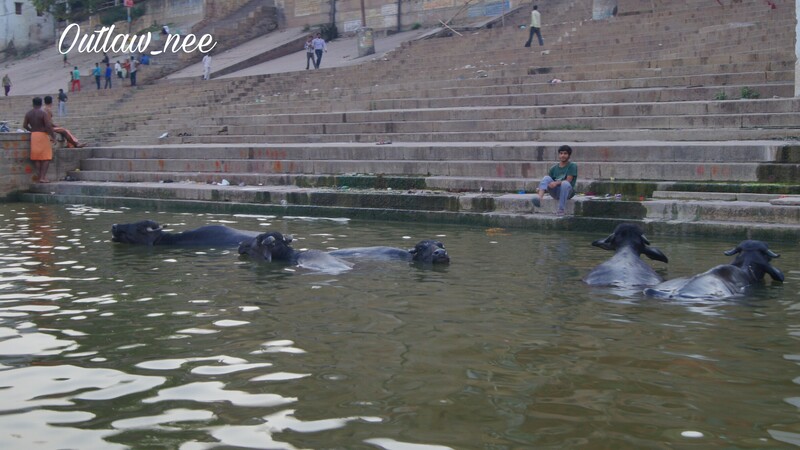 In Benares, with it’s never ending crowd, you will find temples at every corner and Cows ( considered sacred by hindus) happily sashaying down the streets.. 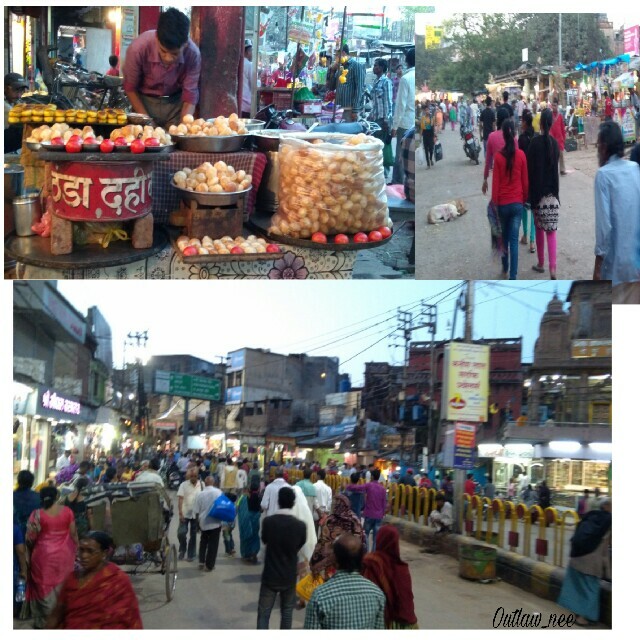 I took a cycle rickshaw to the Ghats and went exploring the markets all by myself..
Ghats in varanasi are riverfront steps leading to the banks of the River Ganges..Where people have a holy dip,pooja ceremonies, boating and most importantly two ghats are for cremation purposes.. 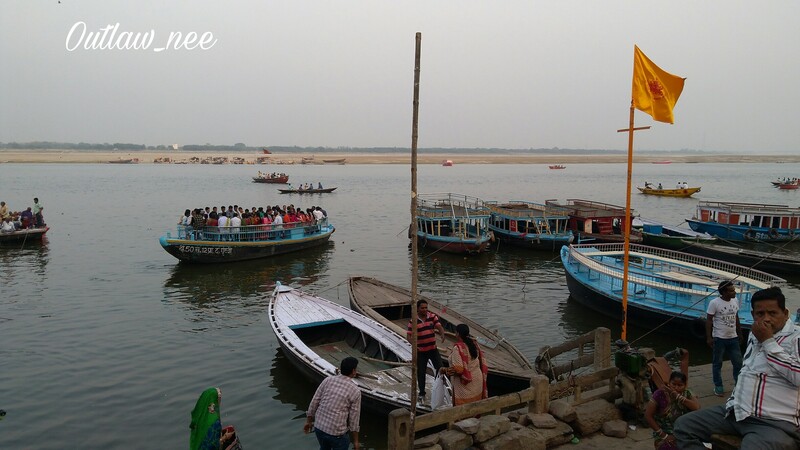 The city boasts of nearly 80+ ghats surrounding it…The most famous is the Dashashwamedh Ghat..
My first glimpse of the Ganges.. 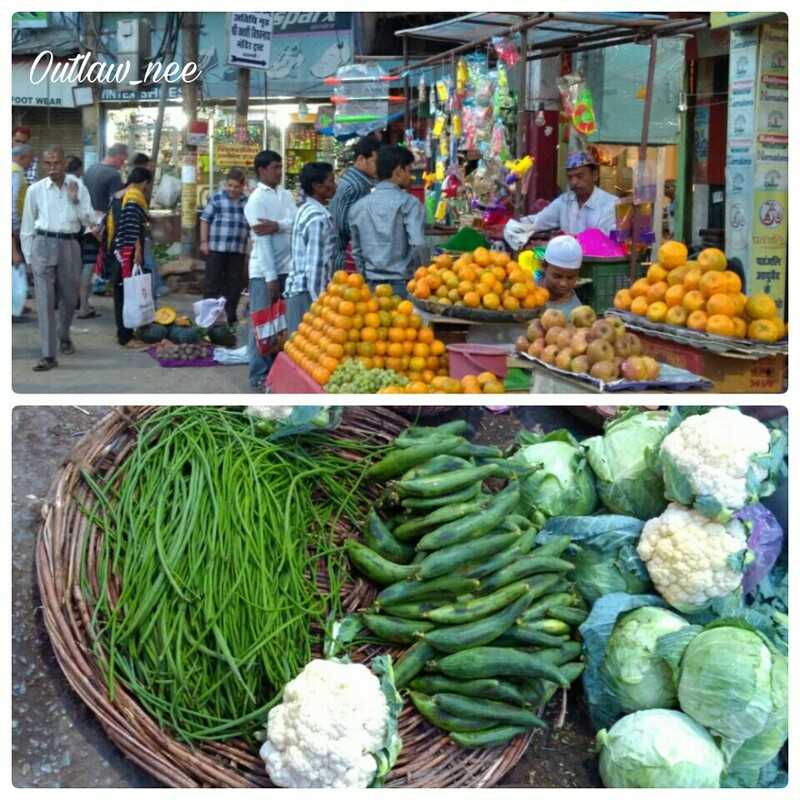 I visited the local markets brimming with fresh produce and a variety of sweet meats..
With a mix of locals and pilgrims from the South of India and tourists from various parts of the world, it very interesting to watch the crowds go by..